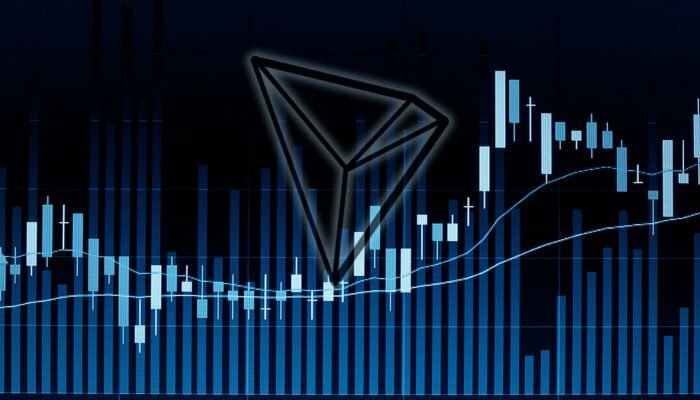 The Tron network describes itself as a protocol that is laying down the infrastructure for a truly decentralized internet. Like other smart contracting and dApp development platforms, it relies on blockchain. 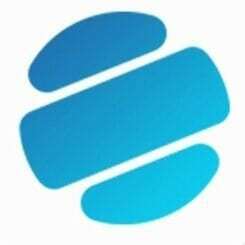 What’s more, the team behind this network is keen on expanding and on-boarding as many developers as possible. For those who don't believe, #TRON has continuously kept their promise on deliverance. 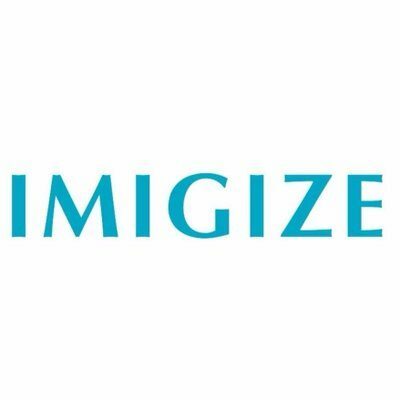 – Processing over 1.9 million tx's in a day successfully. 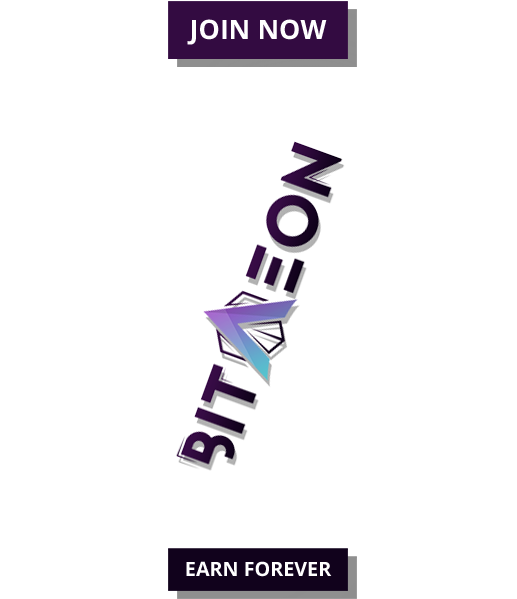 To that end, Tron did acquire BitTorrent and with Project Atlas on the way, Justin Sun and the Tron Foundation announced a $100 million fund with one key objective: empower dApp developers and change the way the multi-billion gaming industry operate. The drive dubbed Tron Arcade bodes well with what the network is: a decentralized world entertainment system. By spreading the funds over three years while working with different developers keen on bringing new innovation and entertainment to the gaming industry, Tron hopes to shape the gaming world while cutting off third party mediators in content delivery. – Auto-signing. Enjoy using sites without having to confirm every transaction. – TRC20 functionality – see how much ANTE you hold! Now that the network has a developer suite in place and with the mobilization of $100 million, TronWatch has announced TronLink 2.0. The main objective of TronLink is to simplify access into the blockchain network via any web browser. TronLink works pretty much like MetaMask and with this release, enthusiast will have a better way to interact with the Tron blockchain be it in pure exploration or interaction with dApps smart contracts. Aside from Bitcoin Cash SV, TRX/USD is one of the top performers adding 1.5 percent in the last week despite the general altcoin slowdown. 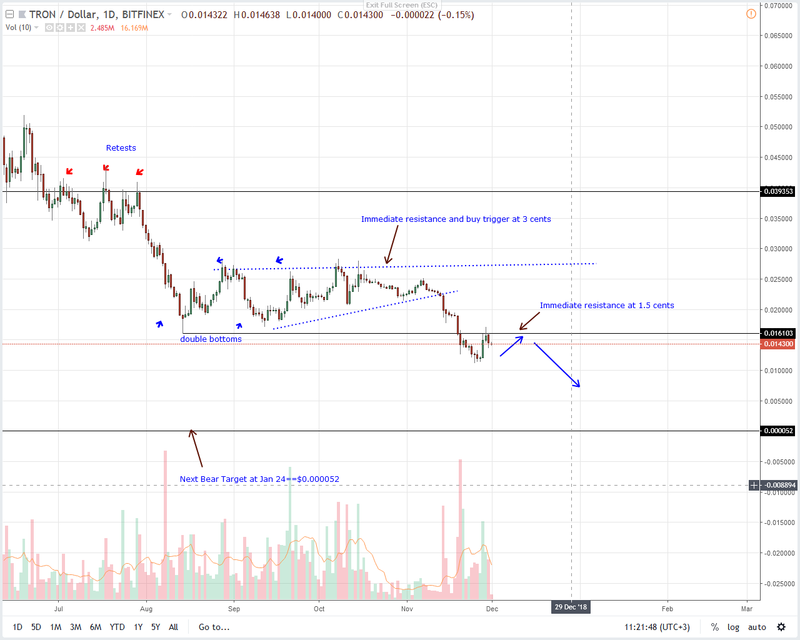 Needless to say, TRX/USD is technically bearish and despite attempts of higher highs in lower time frames, bears are firmly in charge. What we have in the weekly chart is a clean bear breakout pattern complete with high trade volumes (189 million versus 119 million) and even if there has been no confirmation, it appears as if the path of least resistance is to the south—check out the long lower wick indicating of sell pressure in lower time frames. Now, unless there is a strong breakout above 1.5 cents and the complete reversal of last week’s losses, conservative—risk on traders should hold off from initiating trades only adding shorts once there are further breakdowns below 1 cent or last week lows. In this time frame, the bear breakout as aforementioned is clear. 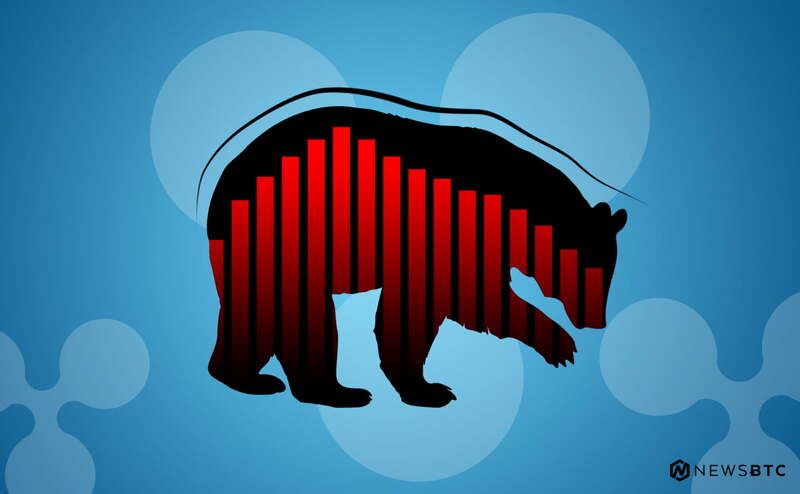 Though there are attempts of higher highs complete with a morning star pattern set in motion by Nov 25 bulls, bears are technically in charge trending within a re-test phase of a bear breakout pattern thanks to yesterday’s losses and the failure of buyers to build enough momentum thrusting prices above 1.5 cents—previous support now resistance. Moving on, risk-off traders should take a neutral position until after there is confirmation of bulls above 1.5 cents confirming the morning star pattern of Nov 28 or trend resumption with losses below Nov 25 lows at 1.1 cents. 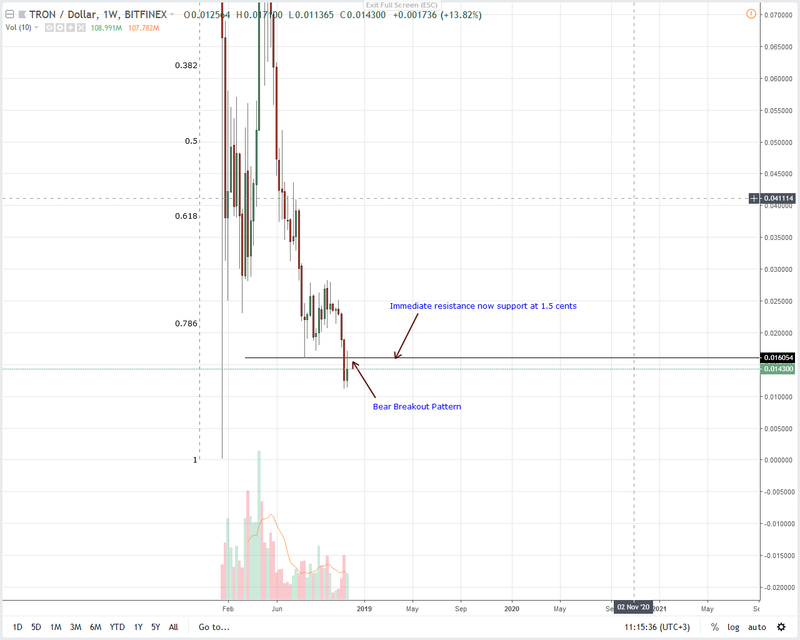 If the latter is the case then TRX/USD could drop to Jan 24 lows as laid out in previous TRX/USD trade plans.